QuartSoft/КвартСофт - блог украинской веб-команды: Magento webinar about address verification at checkout. Join today! Magento webinar about address verification at checkout. Join today! Magento host another webinar today. 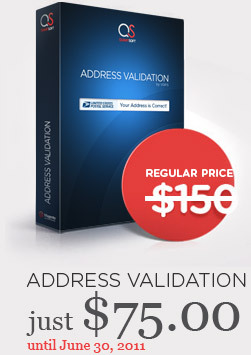 This time we are talking about importance of address validation for your checkout process. We will join this webinar as well and would like to offer discounted price for our Address Validation extension. We will give 50% discount for all orders till June 30th.